Watch this U.S. goal from the U-17 World Cup and feel hope. Maybe these guys will one day have the opportunity to again believe that we will win. For any fans of the U.S. men’s national team looking for signs of hope for American soccer following last week’s humiliating failure to qualify for next year’s World Cup, here’s some news. The U.S. team currently competing at the FIFA U-17 World Cup in India actually looks pretty OK! 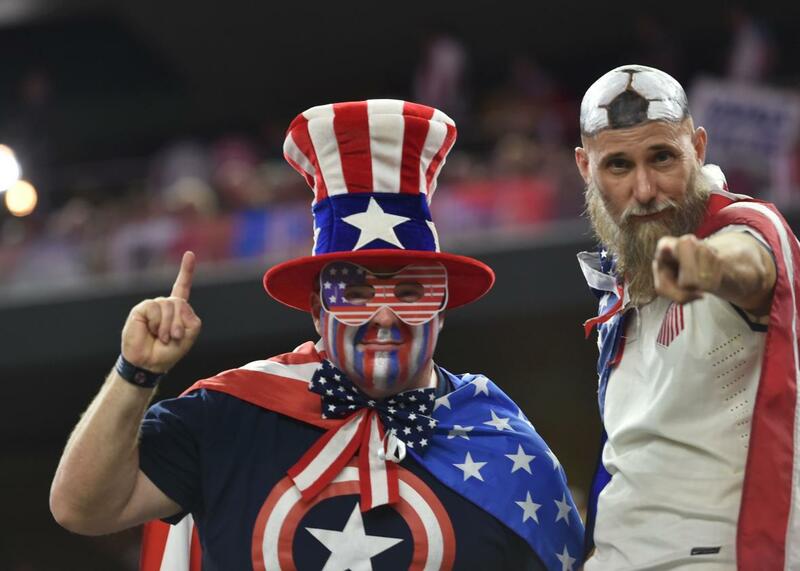 In fact, the team might just be more than OK. On Monday, the United States advanced to the quarterfinals after a 5–0 victory over Paraguay in the round of 16. The scorer there was Tim Weah, who scored a hat trick in that win. If that name sounds familiar, it’s because Tim Weah is the son of Liberian soccer legend and politician George Weah. The elder Weah won the Ballon d’Or and FIFA World Player of the Year with A.C. Milan and finished second in the voting for those prizes in 1996. Tim was born in Brooklyn, grew up in New York and Florida, and earlier this year signed a pro contract to play for one of the wealthiest and biggest clubs in Europe, Paris Saint-Germain. Weah is not the only member of the current squad to have recently signed for a big European club: Josh Sargent, another forward who scored in the Paraguay win, signed with Werder Bremen last month. (Fun fact: Weah and Sargent were born within two days of each other.) Midfielder Andrew Carleton also scored his second goal of the tournament in the win. So how excited should American fans get? The 5–0 scoreline is an impressive one, as is the Weah hat trick. The Americans haven’t qualified for an U-17 World Cup quarterfinal since 2005, a team that featured recent U.S. men’s national team stalwarts Jozy Altidore and Omar Gonzalez. Donovan won the tournament’s best player award that year and would go on to become the U.S. men’s all-time leading scorer, a mark he now shares with Clint Dempsey. Of course, the best the boys from 1999 were ever to able do on the main World Cup stage was reach the last 16 of that tournament. Still, in these bleak times for U.S. men’s soccer, fans should grasp on to any green shoots there might be. Weah and the U.S. will take on either England or Japan on Saturday in the quarterfinals. *Correction, Oct. 16, 2017: This post originally misspelled Landon Donovan’s and Clint Dempsey’s last names.